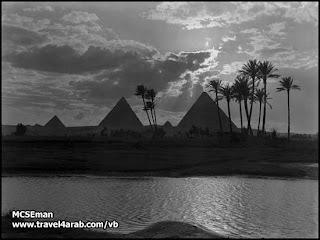 A Landscape does not exist and will never see nowadays..the pyramids and besides them the Nile.. 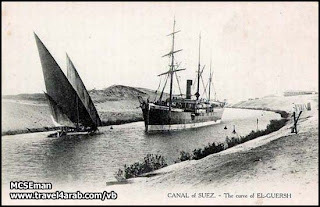 So far, the ship are presented in the museum near the pyramids now..it is common named by the Sun ship. It is a very large ship can not be absorbed by one image. 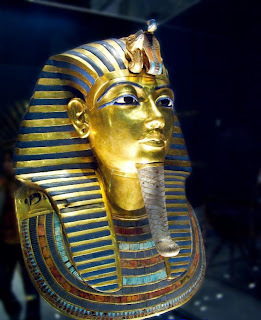 from pics of king "tut" tomb discovery.. 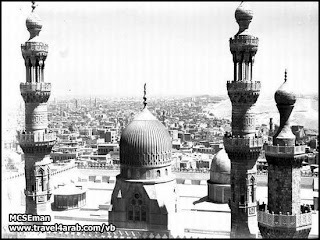 It is the only cemetery which been found a full jewelry and property king. It was discovered by one of the British scientists by supporting from a british millionaire who was one of the few who own a car in Britain at that time. 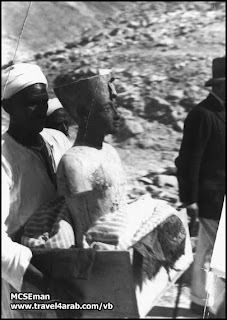 What you are seeing now is one of the workers when he was transferring some of monoments from the cemetery to be carried over to the Egyptian Museum in Cairo. Where ships coming from Asia had to revolve around the continent of Africa to reach Europe .. and in the opposite as well. Part (2): Quick facts and numbers about the Great Pyramid "Khufu". 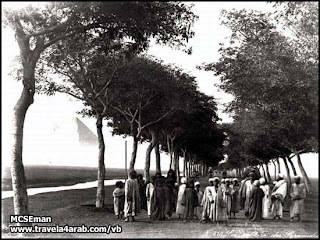 Photo taken in 1910 in a free zone which called now "new cairo"..
"New cairo" of course was first built in desert ..but now,..it is one of the most famous suburbans in downtown of cairo. but what do you think about that box behind it?? Do You Know What That Man Does? Perhaps many do not know what this man does!! What he holds is a primitive machine which is coming out of the water from underground .. holding arm of the machine and driven up and down through out the water out of the land .. The water which the man extracts,..is being put in the bags which is behind him which are made of leather,where they pick up their travel .. The reason for manufacture of leather is that it cuts off water from the heat and keep it cold for a long time. 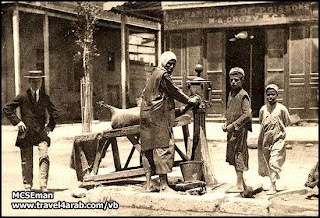 They cart to Furn barbecue potato..
Khan al-Khalili in 1899 !! 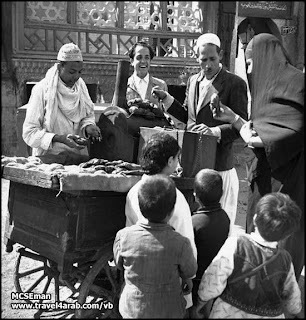 It's most popular markets and places in Egypt ..as its age now is more than 600 years. 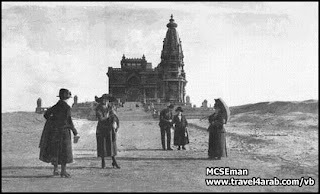 A picture for Belgian "Baron palace" in Cairo, 1907! 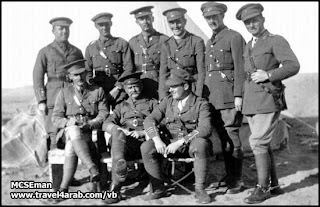 As you can see,..the palace was in the middle of the desert..The Belgian owner built this place to be on the outskirts of Cairo..in the direction of Suez. 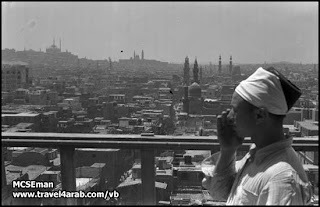 It is now in downtown Cairo after growing city of Cairo and has become the largest city in Africa. 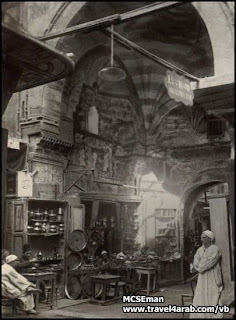 Now,..the palace is being repairing and beautifying and will be open to visitors in 2010,inshallah. 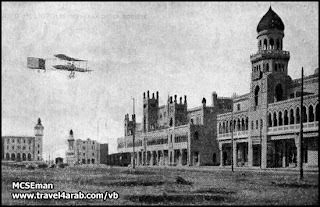 Picture from a great perspective of the castle's..
Ma'znha old still exist by its beautiful faces.. 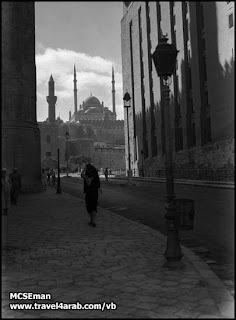 This previous image was from highest of another mosque adjacent to the Saladin castle ..